The Sandoval Village board, over the opposition from Mayor Pam Gelsinger, has voted to proceed with a grant request to Ameren. The board had initially approved seeking the grant at their March meeting, but at the time they didn’t realize there was a cost to the village. Under the grant program, the village would still have to pay $75 for each street light converted to the LED bulbs which provide a brighter white light. The board members felt the conversion of the 100 street lights would improve the look of the village. Gelsinger argued unsuccessfully that Ameren would over time switch out the bulbs anyway at no cost. She felt the $7,500 cost could better be used for other projects. 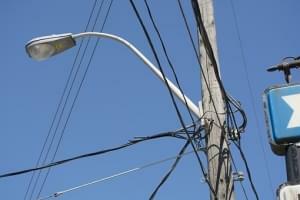 If the grant is approved, 69 other street lights will be changed out over time by Ameren.